Transform your run-of-the-mill popcorn snack into a sweet and salty cannabis coated delight! 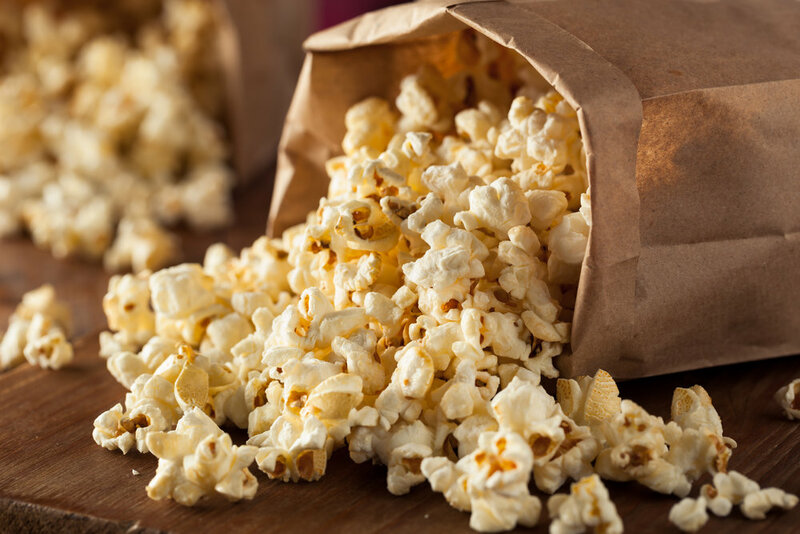 This gluten-free recipe yields approximately 15 cups of popped pot popcorn coated in honey and sea salt combined with two tablespoons of BYOB – 50 mg of THC cannabis extract in coconut oil. If you divide the popcorn into 15 single cup servings, each serving will have just about 3.3 mg of THC. Pour the olive oil in the bottom of a large pan. Use enough to generously coat the bottom. Heat the pan over medium/high heat. Put three test popcorn kernels in the pan and cover. After you hear the test kernels pop, remove the lid. Add the remaining kernels and put the lid back on. Gently move the pan around to avoid overcooking the kernels till the popcorn really gets popping. When the popping sound slows (after about 3-4 minutes), take the pan off the heat. In a small bowl, combine the honey, BYOB oil and sea salt. Pour over the freshly made popcorn right in the pan. Recover and shake vigorously to coat. Use a 1-cup measure to measure out single servings, where each serving contains just over 3 mg THC. Store the popcorn in an airtight container. Make sure the container is labeled as popcorn containing THC and keep it out of reach of children. Wash mixing bowl, utensils, pan and lid, then wipe with alcohol to remove any residual BYOB extract.